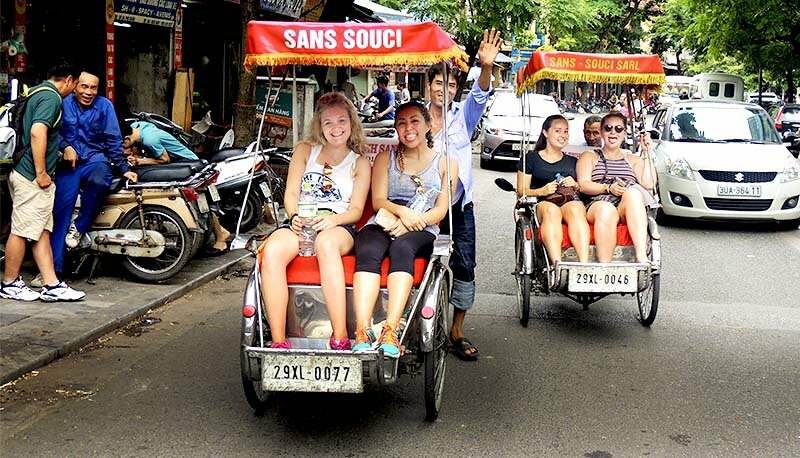 Cruise on a rickshaw through the crazy capital of Hanoi, sample the delicious street food, discover the stunning Ha Long Bay on an overnight boat, go kayaking through caves, stay on your own private island, learn to cook delicious Vietnamese food, experience how the locals of the Mekong Delta live and more! Check out the awesome itinerary below! When you land in Hanoi after your long flight we'll be at the airport to meet you and take you to the hostel. You'll have plenty of time to recover from your flight, chill out and meet everyone in your group. 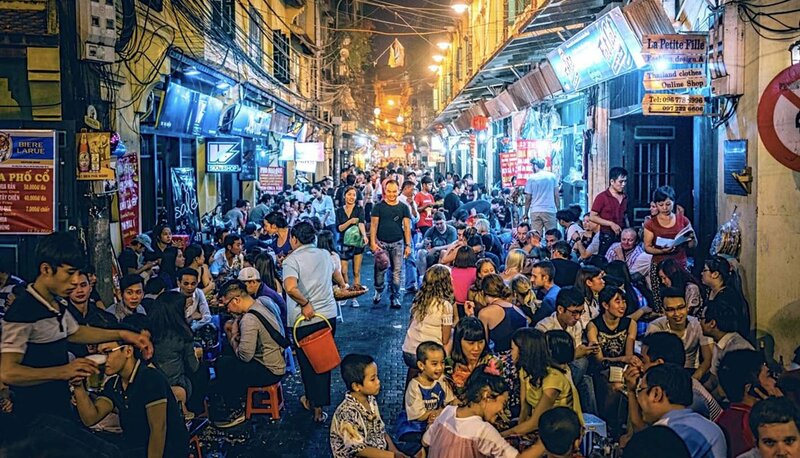 Discover the best of the chaotic capital of Vietnam on a walking and rickshaw tour, sample the delicious street food, fascinating culture and crazy nightlife! 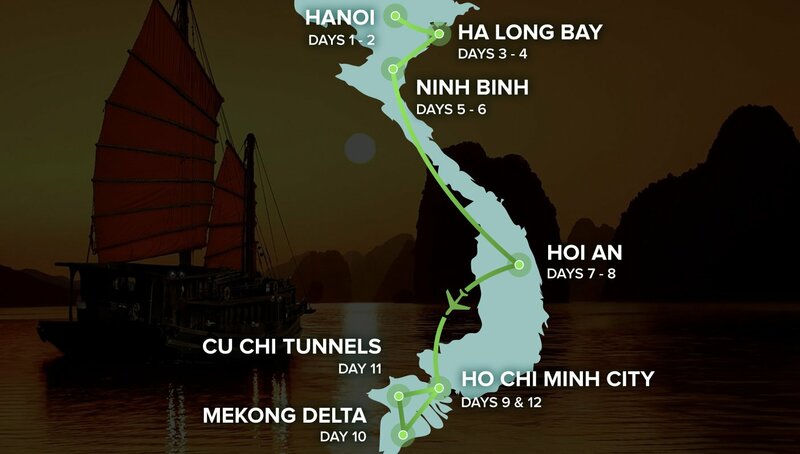 Experience the stunning natural wonder of Ha Long Bay, cruise on beautiful emerald green waters through towering limestone mountains topped with rainforest. Go kayaking through caves and enjoy some drinks aboard our overnight boat! 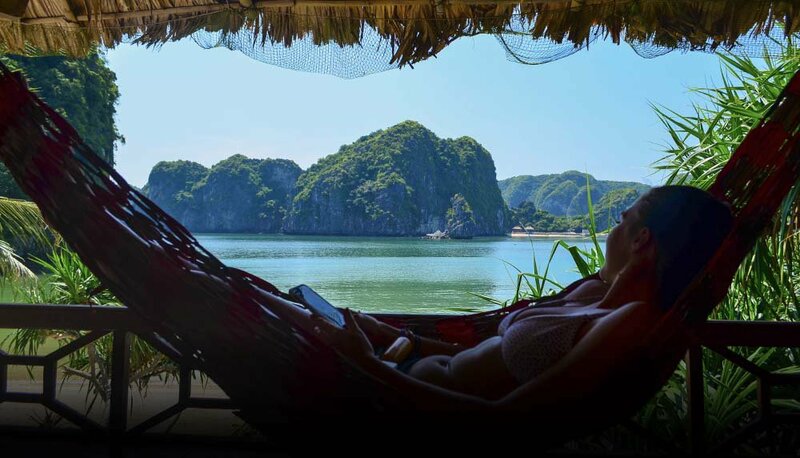 Continue soaking up the natural beauty of Ha Long Bay throughout the day before arriving at our own private island! Chill out in a hammock, play some beach volleyball or just relax and work on your tan. Discover the magical Ninh Binh, a beautiful landscape of endless rice paddies and epic limestone mountains. 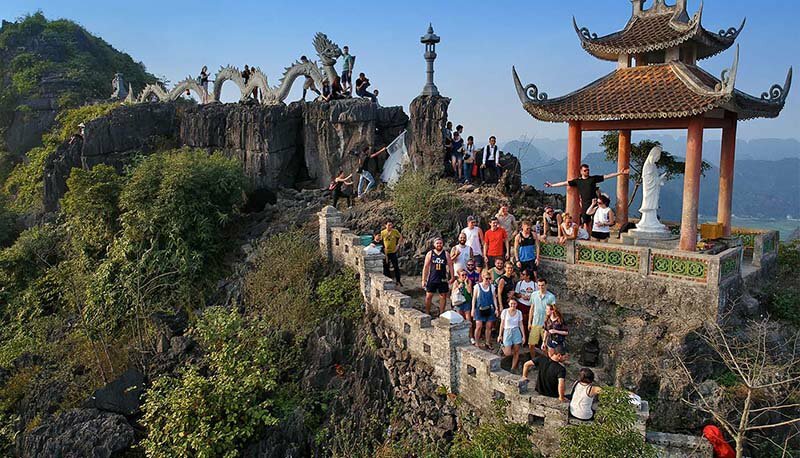 Explore the countryside by bike, then take a local boat through a network of rivers and caves before tackling the iconic Dragon Mountain Viewpoint. Hoi An is is one of the most beautiful and fascinating towns in all of Vietnam. 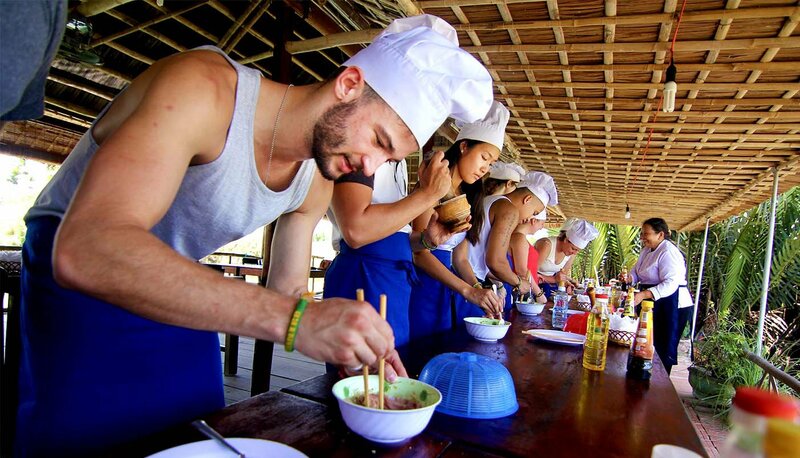 We'll learn to cook delicious Vietnamese food, go crab fishing with the locals in the coconut groves and all with plenty of time to chill, explore the city or even get some clothes made! Today we catch a short flight to Ho Chi Minh City and arrive early afternoon. We'll have the rest of the day to relax and explore the city. Explore the incredibly lush green beauty of the Mekong Delta, learn first-hand how the locals live, visit local villages and experience daily life on the Mekong. Discover the Cu Chi Tunnels, a fascinating network of underground tunnels used as supply routes and living quarters during the Vietnam War. We'll then head out for our farewell dinner and party! Your amazing adventure comes to an end today. You can either check out and make your way home or continue your travels with our help, advice and the new friends you've made! *SELECTED DATES ON SALE NOW! secure your place now and pay later! * Your accommodation will be a mix of either twin, double, triple or multi-share rooms. Private room upgrades are available upon request, subject to availability and paid locally. We'll be there to greet you at Hanoi airport after your long flight and take you to your accommodation. Awesome Group Leader from the moment you step off the plane. They'll be there to provide 24/7 support during & after your trip, as well as help with all of your onward travel. Minivan, Bus, Boat, Overnight Train, Internal flight from Danang to Ho Chi Minh City. 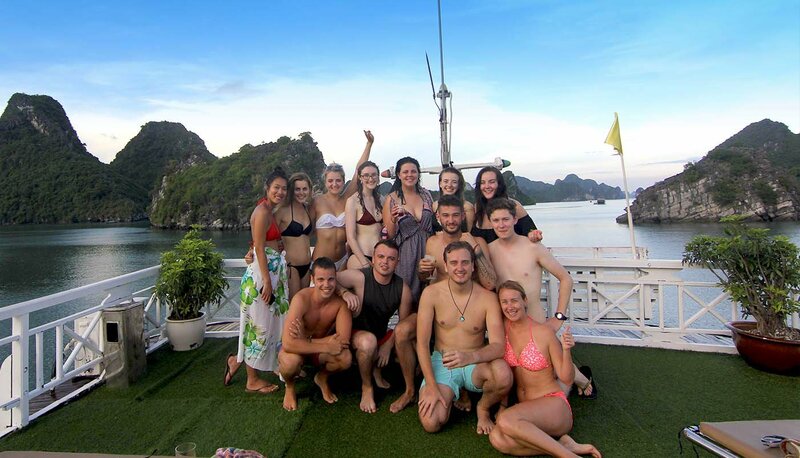 To download detailed notes on our awesome Vietnam Intro trip click here. We've been operating in South East Asia for over 10 years and Vietnam Intro is considered one of our most amazing group tours! VIETNAM INTRO has an average rating of 4.9/5 based on 1,062 customer reviews. Definitely get your moneys worth. Very fun, plenty of activities included. Would 100% recommend and do another intro tour. Fantastic tour! Miles better than other tours I have done in Southeast Asia. Will and Sam were both extremely friendly and helpful guides. Was overall a fantastic trip, Sammy was lovely and extremely helpful in the lead up to the trip and right through! Awsome trip, really enjoyed it. I do recommend others to do this!